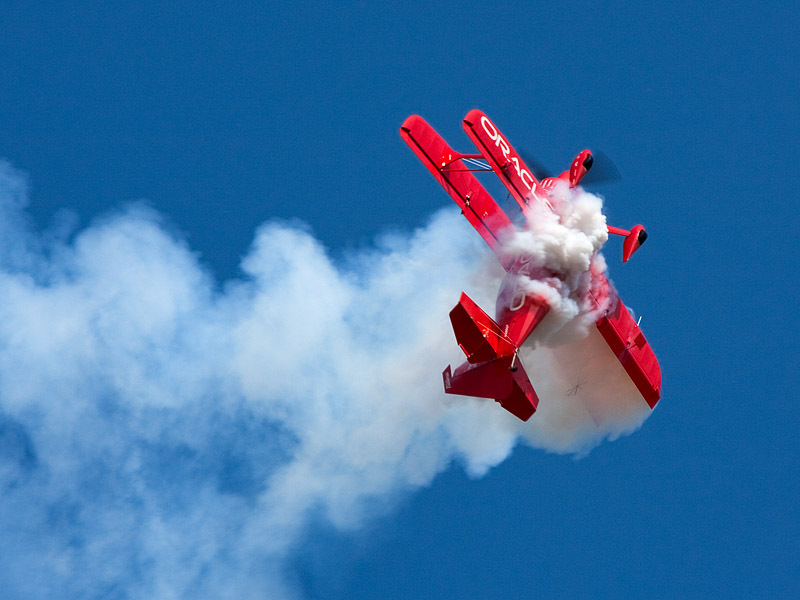 It's hard to capture the dynamics of an aerobatic routine in still photos. I like shots where it's really clear that the plane isn't flying "straight and level". This is a photo of Sean D. Tucker where it's very clear the plane isn't flying normally.